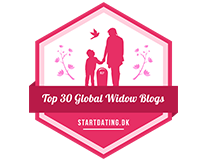 Sometimes it’s hard for me to remember just how painful life was when I first became a widow. 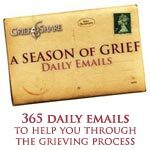 In my book, “A Widow’s Pursuit: Finding Out There’s More to Life than Grief”, I spent a substantial amount of time grieving. I had to! There’s a time in life for everything. Fortunately, I made sure that God led me through. I made it a habit to pray for every decision I had to make. When I felt his peace, I took that as a sign I was on the right path. When I didn’t feel his peace, I took that as a sign it was not his will and changed my path. As my grief subsided, and my new life unfolded, God promised me joy and the blessings are still coming, 23 years later!!! My 2 daughters, who were 6 and 7 at the time their Daddy passed, have grown into the 2 most beautiful women a mother and father could only imagine! Nicole (the youngest) obtained a communication degree and married Teigan, who have a daughter, Mila. Even though they live cross country, I know that God continues to watch over her and her family. That gives me comfort! In 2009, I found love again and married Joseph. At one time, I didn’t think this would be possible, to love again. I have been blessed beyond belief. And now Joseph’s daughter, Emily (my step-daughter), will be getting married this year to Randy. God is good and answers prayers! There IS a time for GRIEF, however, there IS a time for CELEBRATION and JOY as well!! !